Nizar Al Samarae Standard UNESCO Disclaimers to be added. This report examines Iraq by drawing on the Safety of Journalists Indicators adopted by UNESCO. The information is based on the data provided by Iraqi organisations, publications and key stakeholders. It covers the period up until the end of 2015. The report reflects the state of journalists’ safety as reported by various international and national organizations. The report also includes a review of the measures taken by the State, civil society, academia, the media, the UN system, and other international organizations to improve the situation of journalists’ safety at the national level, as well as their opinions on this subject. Stakeholders consider Iraq to be one of the most dangerous places in the world for media professionals to work in. The number of journalists who have been killed in Iraq since 2003 until 2016 amounts to 450 journalists, including 115 journalists during 2015, three of whom were murdered at the hands of ISIS. Moreover, many of the people who work in the field of journalism and the media are still subjected to threats, harassment and intimidation in many forms. Concurrently, the percentage of impunity for those who commit violations against journalists reaches close to 100%. Iraq has seen very few cases of perpetrator arrests or being held to account for their actions, which reinforces the continuing threats faced by journalists in Iraq. As for the field of monitoring and control, several international organizations are working on monitoring and documenting violations, in coordination with national organizations and stakeholders. The majority of these national organizations, however, suffer funding and resource limitations that lead them to miss many of the details. The report includes an assessment of the information and data available related to attacks on journalists and on the media which have been documented by the concerned organizations. It also notes that the data provided by these organizations vary from one organization to another in accordance with the specific criteria that they follow in the monitoring and documentation processes. The figures mentioned in this report are based on the analysis of the overall data and statistics compiled by various international and national organizations. It is also noted that at the time of writing the lack of official data provided by the government related to journalists’ safety reflects a lack of a detailed national strategy in this area. Some civil society organizations in Iraq are working along with the media to implement initiatives that support journalists, including through educating the public on the value of the media and spreading awareness of the threats and attacks taking place against journalists and media professionals. These initiatives also aim to tackle the issue of impunity. However, civil society organizations (CSOs) in Iraq are often poorly funded, with much of their work depending on their members’ personal efforts. Often, this implies a lack of necessary resources to support the safety of journalists and to follow up as required. It is worth noting that local CSOs working on the topic mostly depend on contributions from international donors. Although there are many specialized colleges that teach media and journalism, they are not yet implementing formal sessions on the safety of journalists in conflict situations, and other related matters. At the same time, many of the international and national organizations working on issues of freedom of expression present in the region have carried out courses related to journalistic integrity, journalism in conflict zones and other topics related to the safety of journalists. UNESCO has overseen the implementation of a number of initiatives related to safety of journalists and the issue of impunity, in coordination with the Iraqi institutions and organizations. These include the provision of grants from international donors for a number of organizations to train journalists. The passing into law of specific legislation seeking to protect the rights of journalists does not seem to have limited assaults on journalists, whether by armed groups, individual officials or other actors. The fact that ISIS has held control of large areas of Iraq has had quite an impact on journalists’ safety. There are numerous journalists who have either been murdered or held hostage, while others have fled in fear of the danger to their lives. The Iraqi Prime Minister has issued a number of directives that are intended to provide protection to reporters and facilitate their work. Despite those good intentions, some members of the security services and a number of officials have continued threatening and beating journalists and preventing them from carrying out their work, in addition to attacking some of their media headquarters. As for the judicial system, it still works according to previous laws that limit the freedom of journalists and of the press. These laws provide for judicial procedures, detention, or expensive fines particularly with respect to the articles in the Iraqi Penal Law No. 111 of 1969, which is known as the law of defamation and slander. The Iraqi government has not made available any specialized budget or program for monitoring and reporting of threats, harassment and violence against journalist. However, the matter is entrusted to the High Commission for Human Rights in Iraq, which is an independent institution of the State. Security authorities tend to go through routine investigations in relation to the attacks on journalists, without special attention to these cases. This has meant a lack of effective actions, with the exception of just two cases of murdered journalists. Most media organizations in Iraq take security measures with regard to their headquarters. However, they do not have written procedures regarding the safety of journalists, especially for those working in the field who, themselves, sometimes ignore safety measures while working in dangerous areas. One of the issues that the media sector suffers from in Iraq is the lack of contracts for reporters and journalists with the media institutions where they work. There is no distinction in this regard between those journalists working full-time and those working independently as freelancers. This means that media organizations are not legally responsible for the safety and security of their journalists and are not required to provide insurance for them. However, the Journalists’ Rights Law guarantees pensions to the families of journalists killed at work or who are victims of injuries covering over 50% of their body. As for those who work as citizen journalists, they neither have legal recognition nor are they accepted as members of press organizations or trade unions. This makes the issue of providing security for this group of journalists a challenge. With regard to female journalists working in Iraq, they are considered to be a double target. In addition to being targeted as journalists, they are also harassed as women. Although the statistics collected from opinion surveys and media reports confirm that up to 65% of female journalists are subjected to harassment, they often refrain from reporting such abuses due to the nature of social conditions, customs and traditions prevailing in Iraqi society. Only a single case of harassment has been registered officially. Therefore, this topic is often talked about in the general sense. The state has not developed competent institutions that can cope with the issue of harassment and abuses against female journalists and women in general. In the following chapters, we discuss these matters in some detail, taking into consideration the statistics related to the safety of journalists and the threats to which they were subjected, which will be discussed under Category A. As for categories B through D, they deal with the actions taken by the state and political actors, civil society, academia, the media, the international societies, as well as the United Nations and other large international organizations, to improve the state of the safety of journalists in Iraq. Iraq has witnessed a significant expansion of the media since 2003, as a result of changing the political system of the country from a unilateral totalitarian regime to a pluralistic democratic system. This led to the appearance of dozens of audio, visual and print media outlets representing different intellectual, political, religious, national and sectarian views. The ensuing deterioration of the socio-political and security context of Iraq attracted journalists working for international media. This contributed to the expansion of the local media, with large numbers of young people and intellectuals being enrolled to work in new media organizations, differing in views from those of state-owned enterprises and those funded by established political parties and those previously operating as independent outlets under the previous regime. This, along with the absence of regulation and not having bodies that speak for all Iraqi journalists, in addition to the absence of an appropriate environment where journalists can work, caused the country to live in some sort of media chaos. As a result of the political conflict experienced in Iraq, the emergence of armed groups and terrorist organizations, and the political interference that the media was experiencing, working in the field of journalism began to become more dangerous, with journalists being increasingly targeted. As a result, Iraq quickly ranked among the most dangerous countries in the world for journalists. Reporters Without Borders placed Iraq first in the list of "deadliest [countries] for journalists" in 2015, after the country was placed fourth in 2014. The situation became more serious after the emergence of ISIS and its gaining control over large areas in both the North and West of Iraq. 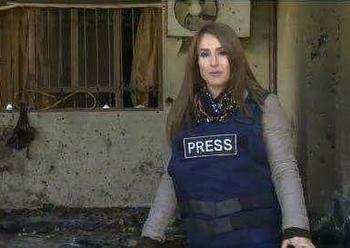 The city of Mosul under control of the organization has been one of the most dangerous areas for journalists. Most of the journalists left the city, while many others working in media have been executed by ISIS. The business of journalism in Iraq lacks the presence of a legal environment that helps journalists work without fear and restrictions, although the text of the Iraqi constitution explicitly states that the government ensures media and publishing freedom. Although a Rights of Journalists' Code has been launched, it is still not effective enough to protect journalists from prosecution when politicians decide to make use of Law No. 111 of 1969 of the Iraqi Penal code. The focus of international actors on the issue of crimes against journalists is relevant to Iraq. An example is the joint declaration on crimes against freedom of expression, issued during the World Press Freedom Day conference in Tunis on May 4th, 2012. This declaration was made by the United Nations Special Rapporteur on the promotion and protection of the right to freedom of opinion and expression, the Representative on Freedom of the Media in the Organization for Security, Co-operation in Europe, the Special Rapporteur on Freedom of Expression of the Organization of American States, and the Special Rapporteur on Freedom of Expression and Access to Information of the African Commission for Human and People's Rights. The declaration states that attacks on a journalist or any another person for expressing his or her ideas, are not limited to targeting only the victims, "but on freedom of expression itself and the right of everyone to seek and receive information and ideas". In 2013, the United Nations General Assembly, at its sixty-eighth session, adopted resolution 68/163 proclaiming November 2 "International Day for the fight against impunity in crimes against journalists”. The resolution urged Member States to implement specific measures to combat the culture of impunity that currently persists. This notable decision denounces all attacks and acts of violence against journalists and the media. It also urges Member States to make every effort to prevent acts of violence against journalists and the media, and to ensure accountability, and bring the perpetrators of crimes against journalists and the media to justice, and ensure victims' access to appropriate remedies. It also calls upon States to encourage a safe and enabling environment for journalists to do their work independently and without undue interference. The United Nations High Commissioner for Human Rights has raised the issue at the Human Rights Council in Geneva, noting that Every act of violence committed against a journalist that is not under investigation and not punished has law is considered to be an open invitation to more violence. The Commissioner also called for states to ensure accountability for attacks against journalists as a key element in preventing attacks in the future. Also relevant is the UN Plan of Action for the Safety of Journalists and the Issue of Impunity (2012) which encourages all stakeholders to co-operate to ensure protection and justice for journalists under attack. This applies to UN bodies, international and regional organisations, states, media actors, civil society and academics. The first two years of the Plan included Iraq as one of five pilot countries. The Plan is now seen as relevant to all countries, under the Sustainable Development Goals especially tardet 16.10 o public access to information and fundamental freedoms. Iraq continues to be a country where the UN Plan can make a difference over time. Iraq, despite the extent of violations of journalists, is at the forefront of countries with high impunity for crimes involving journalists. In this regard, the Committee to Protect Journalists (CPJ) referred to Iraq as the top country in the world when it comes to impunity for attacks against journalists; a position in which Iraq has remained since the Impunity Index came into existence in 2008, rating it as "the worst offender against journalists in the world, as the ratio of escaping punishment reaches up to 100 percent" . According to UNESCO data at the time of writing, Iraq has responded only twice to requests made by the Director-General of the Organization to obtain information concerning the prosecution of cases of violence against journalists. For the purpose of authentication and verification of this report, interviews were conducted with people from legislative, judicial, security and academic institutions as well as with a number of Iraqi journalists working in local and international media organizations. The purpose of these interviews was to evaluate the kinds of aggressions and attacks committed against journalists and gain information on who might be perpetrating such attacks. In addition, interviewers attempted to assess the situation regarding judicial follow-up and impunity of such crimes, as well as the role of trade unions and press associations in addressing this matter. Section A of this report looks into the numbers and types of threats against reporters and media institutions based on available statistics, studies and reports developed by international and national entities, as well as interviews with and testimonies of journalists who have been subjected to threats or assaults. Particular attention is also placed on the double danger faced by female journalists, who are vulnerable to additional gender-specific dangers including sexual harassment. Section B of this report looks into the work of the United Nations and other international organizations that work in the field and their role in addressing the issue of the safety of journalists and impunity. Reports and statements issued by international organizations, as well as private statements by workers in these international organizations were used as a source here. Section C of this report examines government institutions and political actors in Iraq and their role in the protection of journalists through both legislation and its implementation. Specifically, the report addresses the Journalists’ Rights law and the use of sanctions under the defamation law, in addition to legislation on the right of access to information law. It also covers the theme of impunity and the failure to bring the perpetrators of attacks against journalists to justice. The research here included interviews with journalists, judicial and security authorities, and the legislative authority represented by the House of Representatives. The Section D of this report looks into the role of civil society organizations in furthering the safety of journalists in Iraq, as well as that of academics in creating courses allowing reporters to gain appropriate vocational training on safety issues, particularly when working in areas of conflict. We relied here on data as well as interviews with those who are involved. Section E of this report deals with parties in the field of media which includes organizations and press associations. It covers their role in monitoring and documenting violations, raising public awareness of the dangers faced by workers in the field of media, creating an enabling environment for journalists, and providing care for those who are exposed to violence along with similar care for their families. For this purpose, reports and statements published or issued by these organizations were studied, and direct meetings were held with officials from associations, press unions and journalists. Group discussions were also held with journalists representing various media outlets from several provinces including the Kurdistan region. In 2012, the UN Plan of Action on the Safety of Journalists and the Issue of Impunity was endorsed by the chief executives of all component UN bodies and later welcomed at the UN General Assembly. It aimed to mobilise UN agencies and other stakeholders, including UN Member States, regional intergovernmental human rights bodies, non-governmental organisations and media actors to work together to create a safer environment for journalists. The J Safety Indicators (JSIs) were developed within the context of the UN Plan of Action on the Safety of Journalists and the Issue of Impunity, and the Plan’s implementation strategy for 2013-2014. The purpose of the JSI is to support a structured assessment of the state of journalists’ safety and related issues, including partnerships among all stakeholders within a country. Since 2003, journalists working in Iraq have been subjected to attacks and threats from various armed and terrorist groups as well as from government and political entities. These have left behind many deaths and have led many journalists to leave their residency areas. Some have even left the country to preserve their life and the lives of their families. Despite the growing interest in the issue of the safety of journalists in Iraq at the local and international level, the statistics indicate that the threats against journalists were escalating during the research period. To document the threats and attacks against journalists in Iraq, the report's authors relied on the information released by Iraqi and international associations concerned with monitoring and documenting violations against journalists. These include, in addition to the Iraqi Journalists’ Rights Defence Association (in charge of writing the report), the Iraqi Journalists Syndicate, the union of Kurdistan journalists, Metro Center to Defend the Rights of Journalists in the Kurdistan region, Women Journalists without Borders, Iraqi Women in Media Forum, the Defense of Press Freedom Association in Iraq, the Iraqi Observatory for Journalistic Freedom (JFO), and the House of the Iraqi Media. Data also came from international organizations (Reporters without Borders, the Committee to Protect Journalists, IREX). A number of journalists have received threats in various forms including direct threats against journalists. This happened with the journalist Nbz Ahmed, director of KNN channel's office in Soran District of Erbil province, who received a direct death threat after his appearance in a talk show on 3rd of October 2015. Some threats are aimed at groups and not only individuals, such as in a statement made by ISIS on May 25th, in which a group of journalists who were working in different institutions in Salahuddin were threatened to be killed. Death threats are also often indirect, such as in the case of the Director of the Office of Al Nahar channel in Wasit province, who received a threatening letter with a bullet; a method employed in Iraq after 2003 to infer death threats. Female journalists have not been spared from such threats either, as at least two female journalists have received direct threats of harm for their journalistic work. A variety of entities issuing threats has appeared including terrorist groups such as ISIS, armed groups, the government and security officials, in addition to the unknowns who do not have a clear group to which they belong. The number is likely much higher than those recorded. According to data, there were 13 recorded death threats against journalists in 2015. Another 11 recorded threats warned of physical or material harm or damage. (See table (1) below). Given the high number of killings, it is broadly not necessary for actual or individual threats to be made. The situation itself deters journalists from risking coverage that could incur the hostility of powerful actors operating with impunity. Several journalists are beaten and taunted since the field of journalistic work and carrying a camera in Iraq continues to be extremely complex. Authorities tend to confine the movement of journalists, subjecting them to military and security leaderships in all Iraqi cities. Journalists are often prevented from undertaking photography and media coverage unless they get prior security approvals. Threats against journalists were not limited to death and physical harm threats. There were also threats by institutions and government officials against journalists because of the work they do. Statistics demonstrate that at least 10 journalists have suffered from judicial and administrative harassments in recent times. One case is of journalists Jalal Shati of Aqlam Hurra newspaper, Naseer Abdul-Turki of Sada News agency and Mohammed Maeksh of the municipality of Kut media section who were charged of inciting violence after covering a demonstration performed by Municipality workers in Wasit on July 9th, 2015. A case regarding hostile comments from officials is when former national security adviser Muwaffaq al-Rubaie, accused Tigris satellite channel director Nabil Jassim of being employed as an agent by another country. This led to a case against Jassim before the Court about television comments related to Al Rubaie's work in a television program that he presented. Journalist Nasser Al-Hajaj was taken into custody after a warrant was issued for his arrest, before a raid on his home in Basra took place. This happened after he posted a criticism of the performance of the governor of Basra on his Facebook page. The National Union has stated that Al-Hajaj, who is also the manager of its Basra branch, was prosecuted for false accusations and that his home was raided by the police force”. The Iraqi Observatory for Press Freedom, which belongs to the Iraqi Journalists’ Syndicate, reports that journalist Rasha al-Janabi was subjected to threats and harassment following her criticism of government measures in the province of Najaf. It followed her post on Facebook in which she criticised the decision to cancel the distribution of residential land to the poor in the province. The Iraqi Observatory for Press Freedom also noted her saying that she was "surprised by them attacking her and hacking her profile on Facebook, and then threatening her with expulsion from her job". The situation for bloggers, especially those using social networking sites, is not that different from their fellow journalists even if it is not as regarded as widespread. However, information suggests that ISIS arrested a number of bloggers on social networking sites who seemed to oppose them in the city of Mosul. As a result of these arrests, the social media pages of the detainees have been shut down including the pages of Swalef Mosilah Atikah, Um Al- Rabiein, and others, according to one of the activists in the city. A number of journalists were kidnapped by armed groups but were later released. There were three cases recorded in 2015 (not including those that ended in the killing of hostages). There were also 14 recorded cases of arrest and detention of journalists for their journalistic work, seven of which were arrested by ISIS with some released and others whose fate is unknown. Often, those arrests were carried out without judicial orders and by security personnel who behaved on their own. Journalist Sabah Alateroshi, who was detained after an appearance on a satellite channel, mentions that he was arrested and released without being charged or presented to court. Violations against journalists range from the prevention of press coverage to direct coercion and the use of force. An example of this is what happened in the city of Najaf on October 22 when security personnel beat up a group of journalists working for media channels Al Hurra, Al Sumaria, New York Times and Bilady for their coverage of a fire that took place in the area. Another case involved Al Baghdadia's reporter in Dhi Qar, Riad Ismaili, and their photographer, Shamem Ismaili, who were attacked by a group of young men seeming to follow a political agenda in the district of Suq. The men directed several punches and blows at the photographer Shamem both in the face and on parts of his body. Furthermore, the home of Al Baghdadia's office director in Baghdad, Najm al-Rubaie, was attacked with hand grenades. Journalists in the Kurdistan region have also suffered beatings and injuries, kidnapping, arbitrary detention, threats, breaking of equipment, insults, and intimidation of their families. That is according to the Iraqi Journalists' Rights Defence Association’s office in the Kurdistan region and Kurdish media. Most of the attacks against journalists were done by unknown individuals who attacked reporters when covering events, especially during demonstrations in several Iraqi cities. The attacks against journalists were not only limited to protest demonstrations or political events, but extended to sporting events as well. Al Sharqia's channel correspondent in Basra, Arkan Taqi, and his cameraman, Alaa Sarhan Shalabi, were prevented from entering the Sports City Stadium to cover the match between Mina'a Club and Erbil on the evening of 20th September, 2015. They were detained with the vehicle in which they were traveling by a police officer who tried to arrest them. An intervention of the President of the Football Association in Basra persuaded the officer to allow them to enter the stadium. Numerous parties have carried out attacks on journalists. Twenty-two cases of assault by unknown assailants on journalists during their work were recorded in 2015. Four cases were recorded where assaults have been made by the security of officials, 12 cases by security forces, and three cases by officials in government institutions. One case of incitement to violence was also reported as well as one case of harassment against a female journalist. Although many of these violations took place in broad daylight and in public, none of the elements of the security forces were held accountable, no allegations were investigated and none of the perpetrators were taken to court. A number of journalists were injured when they were covering battles between security forces and ISIS. This includes injury whether as a result of being shot directly or by the explosion of improvised explosive device. The numbers of cases that have been recorded in 2015 are 14 different injuries. Two other journalists were injured as a result of a car bomb exploding in the city of Baghdad, one of whom was a female journalist. That is according to Iraqi Observatory for Journalistic Freedom. The cases of killings of journalists in Iraq in 2015 are among the highest among the countries of the world. The killings that were carried out by ISIS against journalists represented the highest percentage of these, with 26 journalists killed after the organization took control of the city of Mosul. This number includes the three female journalists killed, as recorded for 2015. Killings of journalists were not only practiced by ISIS, but also by a number of armed groups who did not reveal themselves, as happened with the Iraqi Times website journalist Saab Al Iqabi in Basra province, who was found dead hours after being abducted by an armed gang. Witnesses said the armed group travelled in four-wheel drive cars without number plates, stopped the car of Saab Majid Al Iqabi near one of the security checkpoints in central Basra, pulled him out of his car at gunpoint and took him to an unknown location. Iqabi's body was found the next day with signs of torture. Journalist Ghazi al-Rubaie was also found dead after he was kidnapped by unknown gunmen in the province of Dhi Qar on 10th September. A journalist in Baghdad was assassinated after his car was bombed in 2015, while another three journalists were killed when covering clashes between Iraqi security forces and ISIS in 2015. Another journalist in Baghdad was also killed by a car bomb, while further journalist was killed in mysterious circumstances at his home. Details of the crime were not disclosed. The perpetrators of the mentioned cases were not arrested with two exceptions. The first is related to the journalist Nazim Naeem, who was assassinated by an explosive placed in his car. The perpetrators were caught, arrested, and prosecuted in court. They were charged for the murder and sentenced to 10 years in prison. The second case relates to the journalist Imad al-Haidari, a cameraman for Furat TV channel in the Governorate of Najaf. He was found killed on November 13th, 2015 The perpetrators were arrested. They admitted their crime and confessed that their intent was to steal his car and this had no relation to his journalistic work. The conditions experienced put Iraq’s media institutions under pressure: in particular, threats related to the overall security situation and car bomb attacks. Media institutions are also threatened with closure, as happened with the Office Al Sharq Al Awsat newspaper that was stopped by a governmental decision in 2014. Meanwhile, the Office of Al Hayat newspaper was forced to leave Baghdad and move its quarters to the city of Irbil as a result of the pressure it was under. In 2014, the Al Sharq Al Awsat newspaper office and the Al Hayat newspaper office were attacked by gunmen who smashed equipment and attacked journalists. Such acts put all media institutions under threat. Banners were raised on the main streets have incited antagonism against certain TV channels, while "some parties have led incitement campaigns against local and foreign media organizations". This led those media units to take measures to protect themselves. Al Jazeera’s office in Baghdad received threats after a program addressing the former Iraqi prime minister, which forced its employees to close it for two months. Their office was also exposed to pressure from the Communication and Media Commission (CMC) as they refuse to renew its license which threatened Al Jazeera’s Iraq office with closure. Iraq witnessed attacks on the headquarters of four media organizations in the Kurdistan region during the coverage of demonstrations that occurred in the province. A large number of demonstrators attacked Rudaw TV channel offices in the city of Sulaymaniyah, smashing windows and trying to storm the premises before police were able to disperse the demonstrators by shooting heavy fire into the air. In Erbil, the Asaish forces attacked the NRT channel office, arrested its entire staff and closed the office. The entire office staff was subsequently led out of the city to protect them. Another group of Asaish in Dohuk conducted an attack on the station's office in the city and took control of it and locked it up, as noted in the statement released by Nalia Media Foundation which owns the channel. In Baghdad, a news agency office was affected when a car bomb exploded near the building it occupied. This resulted in material damages to the contents of the office and injury to a journalist. The office of TV channel, Dijla, sustained an attack when one of the members of parliament and his bodyguards opened fire on November 26th 2015, inside the office building. This happened after a fight with one of the politicians while recording a TV show, which put the people working for the channel at risk. 1.7 Disaggregated data according to gender, media platform and work status. 1.7.1 The number of types of threats and attacks on female Iraqi journalists in 2015. Data suggests that ISIS has executed in the city of Mosul three female journalists in 2015: Mayson Al Jawadi, Suha Ahmed Radi and Akhlas Ghanem. Other journalists were subjected to various forms of abuse such as threats and harassment including within the media organizations themselves. It should be noted that the cases of harassment that have been reported are probably the tip of the iceberg. A survey conducted by the Iraqi Women in Media Forum that included 200 female Iraqi journalists showed that "68 percent of those surveyed have been subjected to harassment in all of its different forms and manifestations, with Iraqi politicians being on top of the (molesters’) list, in addition to media organizations managers and journalists". A report done by the German channel DW covering Iraqi women journalists as victims of harassment has also recorded a number of harassment cases. But the social situation in Iraq, particularly with regard to women, deters many from formally reporting such cases. Threats and attacks on Iraqi journalists have spread, affecting professionals working in various forms of media such as press, radio, TV, and the Internet. It affects journalists who work full-time or independent contractors, and to a lesser extent practitioners of citizen journalism and bloggers. The discussion below comments on whether, amongst national stakeholder groups, there is an accurate understanding of the extent and nature of the problems. It also comments on issues of national strategy, and sharing of good practices and information materials, as well as co-operation and visibility in relation to safety issues. With the continuation of political conflict and the fight against terrorism, Iraqi journalists are well aware of the risks that they expose themselves to, especially with the increased harassment of workers in the media by various quarters. Journalists working in conflict areas are especially aware of the risk of being targeted by terrorist organizations due to lack of security. For example, areas such as Mosul, Salahuddin and Anbar, which have large parts under the control of ISIS, pose a serious threat to journalists working in them. This has led many of them to flee to safer areas. Journalists in other areas of Iraq that are not covering armed conflict per se still realize the danger of working in journalism and are aware of the parties that can threaten their safety, which are usually individual officials and members of armed forces. Despite multiple statements made, there is still no clear and specific national plan for the protection of journalists. Journalists try to report to local organizations about the threats and attacks against them either directly or through a third party. There is a lack of emergency numbers or any means to contact them in case of exposure to danger or threats. The relevant organizations often stick to issuing statements without seeking to take any actual actions. Journalists do not know of ways to directly contact the international organizations which depend, in turn, on information they receive from local partners. Attacks and threats against journalists are often met with quick and temporary reactions which lack the required measures to follow up with the concerned authorities, and this adds to the rate of impunity. One positive factor is the availability of publications and instructions in Arabic circulating in Iraq in terms of safety measures. The Kurdish language is also used in Iraqi Kurdistan areas. World Press Freedom Day on 3 May of each year and the International Day to End Impunity for Crimes against Journalists on 2 November allow media stakeholders and organizations to meet, deliberate on issues including the risks that threaten journalists, how to confront them and to remember journalist victims. However, there is no common plan gathering stakeholders to unite efforts to combat the challenges faced by journalists. There are no overall plans to raise awareness of this situation although specific initiatives do exist, such as the launch of the award on behalf of journalist Nizar Abdul Wahid, who was killed by unknown assailants in the city of Emarah in 2007. This award lasted for two years until 2009, when it was taken on by the journalist's brother and was moved to the Kurdistan region in 2010, before stopping due to a lack of support. Another initiative is that the District Council of Architecture in the city of Emarah has recently decided to name a street after Nazar Abdul Wahid at the request of his family. A further initiative is that the Iraqi Journalists’ Syndicate has set up an exhibition to remember the martyrs of the press in Alakeshlah building, a historical building located in central Baghdad that has been converted into a cultural and artistic center. It also allocates space on its website to publish their pictures. In order to assess the role played by the United Nations bodies with respect to safety issues and impunity, data was collected from their websites, and from statements by and interviews with international officials in Iraq, in addition to interviews with media professionals. 1.1. The United Nations, and particularly the UNESCO office in Iraq, has taken steps to follow up on cases of threats and attacks against journalists in Iraq. It is also working in partnership with media organizations such as the Iraqi Journalists Syndicate, the Iraqi Journalists’ Rights Defence Association, Metro Center, the Journalists Association of Kurdistan and other interested parties documenting violations related to the safety of journalists in Iraq. In this regard, Georgi Posten, Deputy Special Representative of the Secretary General of the UN in Iraq, said in a speech when attending the ceremony organized by the Iraqi Journalists Syndicate on the occasion of the 146th Iraqi press festival, that the UN supports all measures that help provide protection of journalists and freedom of the media. As a part of the UN Plan on the Safety of Journalists and Impunity, UNESCO goes through the process of collecting data regarding any killing of journalists, and coordinating with local and international organizations involved in the training programs. It submits an annual letter to the Permanent Representative of Iraq to UNESCO, requesting the Iraqi government to provide information on judicial follow-up to the killings. UNESCO works to provide the United Nations system with information on the safety of journalists. It also works in coordination with the United Nations Development Programme, and United Nations Assistance Mission for Iraq (UNAMI) to implement the plan on the safety of journalists as in the initiative, which was announced on November 12, 2015. (See paragraph 4 e). There is no overall picture of the United Nations bodies’ work in Iraq in terms of supporting the safety of journalists. The UNESCO office tends to handle everything in this regard, although other bodies take part such as UNAMI, and United Nations Development Programme (UNDP) as mentioned above. UNESCO has worked through its office in Baghdad to promote safety issues in the context of dealing with journalists and other stakeholders. The UNESCO Director-General visited Iraq in 2014 on 2 November, coinciding with the International Day to End Impunity for Crimes against Journalists. She touched on this matter while meeting with journalists at the beginning of the visit, in the presence of the Iraqi ministers of Education and Tourism. Among the steps to implement the UN plan, UNESCO through its office in Baghdad has undertaken the task of supporting projects and activities to build and enhance the capacity to monitor and evaluate the safety issue. a. A project to strengthen protection across the Iraq for human rights defenders; however, the project was delayed by lack of agreement between the Ministry of Human Rights and the Government of the Kurdistan region over the venue of a related conference as to whether it should be in Erbil or Baghdad. b. There has been co-operation in the implementation of the project with the Iraqi Media Network in 2013 to prepare instructors for the safety and security of journalists. c. UNESCO's office in Baghdad has also worked in coordination with the media and communications to train 250 journalists in 2013 on occupational safety and protection of journalists. d. There has been a contribution to a 2015 draft law on freedom of expression, safety and security, developed by the Ministry of Interior Affairs and the Babel Tower Organization. The Babel Tower Organization is one of the civil society organizations which received with both applied and theoretical material from UNESCO. First: re-investigation of all murder cases, of journalists, and which were recorded against unknown persons, in addition to the threats and violence faced by journalists and media over the past years. Second: preparation of a comprehensive study and evaluation to establish the safety of journalists in Iraq and census safety indicators. Third: enhancement of the safety of field reporters through capacity building and the development of legislation guaranteeing safety and security, and enhanced justice in the executive and judicial proceedings in relation to the profession of journalism and the media and the need to ensure freedom of expression. Fourth: formation of a joint operations room between the actors mentioned below in order to follow any future crimes and violations and breaches that may affect journalists and media institutions in the country. Fifth: upgrade of current legislation and drafting of new laws for freedom of expression and protection of journalists and guarantee their rights. - Contribute to the promotion of legislative formulations to guarantee the freedom of expression and protection of journalists, and fight impunity. - Monitor and follow-up on the cases of violence against journalists and urge the government to take positive steps towards resolving them. - Give support to executive bodies and civil society organizations in order to achieve their initiative of fighting against impunity for crimes against journalists. - Revisit the files concerned with the crimes committed against journalists where the perpetrators escaped punishment, and helping civil society and the United Nations to draw a clear picture about the reason behind the growing rates of escape from punishment, and to establish the percentage of crimes committed against journalists. - Work with the Ministry of Interior Affairs to ensure fair criminal investigations against offenders who have committed crimes against journalists, and follow up on any future cases in a way that is guaranteed to reduce the rates of escape from punishment, crime rates, and violence against journalists. - Allow legal teams defending journalists and freedom of expression to have access to information with respect to crimes and violence, which affect journalists and media. - Ensure professional and fair investigation of crimes that were committed against journalists and ones that may be committed in the future to ensure a solution for these issues and to ensure that there is no impunity from punishment. - Facilitate the work of journalists and provide as much protection for them as possible in order to enable them to do their job safely and freely. - Provide logistical field support to media organizations with regard to protection and provide safety for field journalists. - Assignment of a coordination body that takes care of communicating with members of the operation room. The latter was envisaged to be formed in order to follow up cases of violence against journalists, and to facilitate the procedures that journalists need to go through to perform their tasks. - Monitoring and investigating the cases of violence, breaches, and violations that relate to the press and media community. - Capacity building through training, development and qualification building of media organizations and their employees in ways that can achieve peace and safety. - Support for the legislative bodies in the formulation of laws and regulations that affect the freedom of expression, media freedom, and protection of journalists. - Work closely with international parties in order to transfer a global expertise to the Iraqi press and media, and to promote of freedom of expression and the safety of journalists. - Implementation of the UN Plan of Action to protect journalists and combat impunity in Iraq. - Support for government and local authorities through capacity-building in the field of law and freedom of expression and protection of journalists. - Support for civil organizations that are working to monitor and control violations and breaches that affect this category, and to write and publish reports regarding the issue. - Urging the international community and the United Nations to adopt international resolutions and measures implemented locally to reduce the ratios of impunity for crimes against journalists. UN agencies in Iraq have been working to encourage the creation of appropriate normative standards that include making the rights that apply offline also applicable to forms of online work. The existing version of the Law to Protect Journalists does not include internet journalists. UN organizations working in Iraq stress the risk of women journalists regarding gender-specific harassment and violence. In this context, UNESCO’s International Programme for the Development of Communication (IPDC) gave a grant to the Iraqi Women in Media Forum in 2014 - 2015 to develop an activity that aims to protect Iraqi women journalists. United Nations bodies see safety of journalists as linked to development, in coordination with the UNESCO office in Iraq. The United Nations has worked through the UNESCO office in Iraq to disseminate information on the safety of journalists and to provide this information in the Arabic language. In 2015 UNESCO provided a guide for the protection of journalists and freedom of expression and enforcing the law. It also provided the Ministry of the Interior Affairs and civil society organizations within the World Telecommunication Development program with the mentioned guide. UNESCO and the UN are responsible for issuing statements about the killings and attacks against journalists. The Special Representative of the Secretary-General of the United Nations in Iraq, Jan Kubis, along with the representative of UNESCO, Axel Plath, on September 2, 2015, showed their deep concern about the safety of journalists in the province of Nainawa, condemning the assassinations that targeted media and the increasing acts of intimidation, harassment and violence against them. They also stated that "it is a must to protect the lives of journalists and media workers, and that the offenders who commit all types of crimes must face justice". UN representatives in Iraq have also followed up with journalists covering demonstrations. They recognised the need for effective action by security forces but at the same time called for the prosecution of those trying to prevent journalists from doing their job. There is inclusion of the safety of journalists in the United Nations Development Assistance Framework and other documents of country programming that are discussed by the teams of the United Nations. However, most UN institutions working in Iraq have no specific budgets for safety of journalism. UNESCO is also restricted in its resources, but has worked to encourage international grants allocated by donors for the purpose of conducting trainings or specific programs to the issue of safety. The United Nations in Iraq has developed an informal rapid response mechanism at the national level in order to help journalists who are subjected to attacks or threats. It did so by opening direct channels of communication with the Iraqi government, security agencies, trade unions and civil society organizations. This mechanism is simply holding an interview between the journalist that have been attacked and the security agencies and discussing the incident. 4. The United Nations agencies in Iraq work on promoting joint actions and capacity building. The United Nations bodies are working to promote good practices locally in coordination with the government institutions and civil society organizations. UNESCO signed, on the occasion of the celebration of World Press Freedom Day on 3 May, 2015, a cooperation agreement with the Iraqi Journalists’ Syndicate to promote freedom of expression, development of the media sector, and making information and knowledge accessible to everyone in Iraq. UN agencies operating in Iraq play a role in advising stakeholders and building capacities on issues such as the treatment of journalists by security forces, the investigation of crimes against journalists, and procedures for prosecution and protection. The United Nations Development Program, along with UNAMI and UNESCO (according to the impunity initiative launched by UNESCO in Iraq in 2015), has adopted the responsibility to support state institutions' capabilities and media organizations regarding safety training and reducing impunity, in addition to supporting civil society organizations and capacity building with regard to this aspect. However, the mechanism that enables the implementation of the initiative was not yet clarified at the time of writing. UN agencies have facilitated some training for journalists in fields such as investigative journalism, journalism in conflict zones, legal rights, techniques of self-protection, first aid and so on, but do not themselves supply journalists with safety equipment. The situation in Iraq has attracted attention from the governmental and non-governmental organizations and international agencies working on journalists’ safety. There have been several partnerships with Iraqi organizations to implement various programs related to journalists’ safety, especially in the field of training, monitoring and documentation. International donors have concerned themselves with monitoring and documenting violations relating to the safety of journalists. For example, the Swedish Agency for Development Cooperation SIDA has supported a project of monitoring and documentation of such issues. The project began in 2014 and continued throughout 2015 with the participation of a number of local organizations. A number of international non-governmental organizations have worked to support local initiatives to enhance the safety of journalists. Both the International Federation of Journalists and the Committee to Protect Journalists have issued Arabic versions of their safety of journalists' booklets in order to spread knowledge on how to cover news in conflict zones in a safer way. The International Federation of Journalists has issued a special version of its handbook titled "live news in Arabic" for Iraq. It contains solutions to reporting in areas of conflict, information on first aid, dealing with hostage situations and coping with post-traumatic stress. The Arabic version of the booklet is part of a special kit prepared by the IFJ Iraq which also has first aid tools and a CD with a guide for the safety and protection of media workers. International actors operating in Iraq play a role to monitor the safety of journalists through coordination with local organizations linked to international groups like Reporters Without Borders and the International Federation of Journalists. There is coordination between the international and local partners to provide the United Nations, at global level, with information on the safety of journalists and the issue of impunity in Iraq. These organizations also provide information on journalists’ safety, publish reports about attacks on journalists, and hold conferences about the violence against journalists in Iraq. The international actors promote the existence of normative standards that include both offline and online issues. In this context, IFEX has contributed observations to the Journalists' Rights law and Article 19 has worked on reviewing the draft Bill of the Informatics Crimes Act. Article 19 expressed concern over this Act and invited the Iraqi Council of Representatives not to pass it, while calling on the Iraqi government to "comprehensively engage in issuing legal reforms to protect human rights, and to adopt legislation that promotes and protects those rights rather than suppress them". There is no clear strategy for co-ordination between these international actors who, in part, rely on information from local organizations involved in monitoring. At the same time, those organizations are working to issue statements regarding killings or attacks against journalists. as seen by the statements issued by the International Federation of Journalists, Human Rights Watch, and Reporters without Borders. There are some common, integrated, and coordinated activities with the United Nations activities and the activities of other non-United Nations actors, including government agencies related to the safety issues of journalists. An example is the project sponsored by UNESCO and which enabled relevant training workshops to be hosted by the Babel Tower Organization. The project gathered media and journalists, along with employees of the Ministry of Interior Affairs, to improve the relationship between them. Some international actors are working to schedule the subject of journalists’ safety in their relations with journalists and with other interested parties such as the Supreme Judicial Council and the Ministry of Interior Affairs. Organizations suffer from low budgets which inhibits them from carrying out specific activities concerned with safety issues, which led to the weaknesses. The Iraqi Journalists' Union has noted itsr coordination with a number of international organizations, particularly the International Journalists Union to help journalists who were threatened, to get out of the country and create safe havens for them. International organizations are working to provide advice to the concerned authorities in Iraq to build their capacity with regard to safety issues. Specifically, this covers the treatment of journalists, the investigation of crimes against journalists and procedures for prosecution and protection. These organizations call on the Iraqi government to provide a safe environment for journalists and also provide information about journalists’ safety. International organizations with a presence in Iraq have played an active role in providing training for journalists in terms of safety issues. For example, the International Federation of Journalists (IFJ) has, within the media safety program in the Middle East and the Arab world, conducted a program to prepare instructors to train journalists on occupational safety. Iraq has participated in meetings organized by the Union at the headquarters of the Egyptian Journalists Syndicate. The primary responsibility for protecting journalists falls on the state, which also has a responsibility to legislate the necessary laws to ensure such protections. Therefore, it is necessary to ensure that the domestic laws and administrative and judicial systems have the ability to protect and promote freedom of expression and safeguard the lives of journalists and protect their civil rights. In many of cases, the responsibility of the State to protect journalists is linked to the human rights issue, especially with regard to the investigation of threats against journalists and the control over the army and state security and justice systems, in addition to the responsibility to prevent impunity. Third, freedom of assembly and peaceful demonstration. Parliament approved on August 11, 2011, the Journalists’ Rights Law. It was officially published after being ratified by the President on 25 August 2011. The law also includes confidentiality and independence for a journalist. The law further intends to punish anyone who attacks a journalist while carrying out their profession, by setting out the penalty prescribed for those who abuse journalists while performing or because of their job. In the Kurdistan region of Iraq, there have been a number of laws affecting the press, such as labour law legislation, access to information, and the law of publishing and media, as well as the press law in the region. The region also approved the retirement of journalists law, and there is a project to legislate a comprehensive law regulating the relationship between journalists covering of events and the government, including the formation of joint committees. Iraq has signed the International Covenants on Civil and Political Rights: the Covenants on Economic, Social and Cultural Rights; the International Convention on the Elimination of All Forms of Discrimination against Women; the International Agreement for the Suppression and Punishment of the Crime of Apartheid; the International Instruments for the Protection of Human Rights; the UN Convention against Corruption, the Convention against Torture and Other Cruel, Inhumane or Degrading Treatment and the first and second Optional Protocols regarding the Convention against Transnational Organized Crime. There is no specific law or policy stating that in armed conflict situations, journalists should be recognised as civilians. However, as Iraq is a signatory to the Geneva Convention, and other international protocols, it is assumed that people, including journalists, who are not armed combatants, are protected as per those international instruments. Although the Iraqi Constitution guarantees freedom of journalistic work, there are still effective laws used to intimidate journalists or used to prosecute them. This is particularly true in the case of Iraqi Penal Law No. 111 of 1969 on defamation. The CMC, which is concerned with issuing relevant licenses on broadcasters' guidance, on 27th January 2005, issued instructions that included a request to not incite anyone to commit acts of violence and hatred, disturbances, or support terrorism or criminal acts. It has also banned the publication of emotional or angry statements that include a direct call to protest or imply violent protest, or violence against the government. This blanket provision makes the legal environment for the media in Iraq complex, with journalists regularly being harassed and receiving threats about their coverage. 2. The State’s laws and policies protect safety of journalists, including community media and citizen journalists. There is still uncertainty on how to deal with Internet journalists and citizen journalism and on whether to consider them as journalists or not. The Journaliststs’ Rights Law was initiated in order to promote the rights of journalists and provide them with protection in the Republic of Iraq, and describes a journalist is being whoever carries on journalistic work and is dedicated to it. It is worth mentioning that Mohamed Abdel Dayem, coordinator of the Middle East and North Africa program at the Committee to Protect Journalists understands this to be a narrow definition of the journalist as a person working full-time, which would exclude from the definition those journalists who work part-time, bloggers and other individuals who publish news. The State refrains from endorsing or promoting threats to journalists, including through judiciary, police, fiscal, administrative, military and intelligence systems. Statements of the government officials at the highest levels, operators of law enforcement, and military officials, civil servants and representatives of the judiciary, all recognize the need to ensure the safety of journalists and condemn attacks on them. 1.1. The state has expressed in the international forums its commitment to the safety of journalists and supporting their safety needs. Iraq has accepted the UN Safety of Journalists Plan. At the same time, Iraq has not been involved in sponsoring the international resolutions which call on the nations of the world to provide better protection for journalists, whether in the General Assembly or at the Security Council of the United Nations or at UNESCO. There are many statements made by politicians and leaders of the army and security forces where they recognize the importance of the press, especially during election periods or in times of conflict. 1.2. There are directives issued by the Commander of the Armed Forces and Prime Minister in January 2015 requesting all state institutions and all military forces and security agencies to do their utmost to provide an appropriate and safe environment for the work of media institutions. The guidelines also prohibit harassment or intimidation of journalists or physically assaulting them. There are also communications channels between news organizations and the security forces on coverage of the protests in the streets and public events. Furthermore, security forces usually accompany press groups that have to cover battles with ISIS for the purpose of providing them with protection. 1.3. However, this does not prevent the existence of security forces attacks against journalists. Media organizations have recorded four incidents of assault by protection forces of officials, 12 cases by security personnel, and three cases by officials in the government institutions. Executive bodies do not deny the existence of cases of harassment against journalists but often attribute it to security circumstances and to individual actions inherited from the old culture of the former regime, which in the minds of security, military and intelligence is understood as meaning there should be security approval before allowing media coverage. It is noted that the Journalists’ Rights Law is linked to consciousness raising, and that there is an urgent need to activate this. In this regard, the vice president of Culture and Information Committee in the Iraqi Council of Representatives, Ouhod Abdul-Zahra al-Fadhli, mentions that a lot of media and journalists, when they had their opinion surveyed by the Parliament on the extent of the application of law to protect journalists, said that there is no application because there are still arbitrary measures taken against them. 1.4. There are no specific policies of the State to protect journalists. This matter is often treated within the public domain with respect to the law. According to a senior official in the Prime Minister’s office, journalists who are attacked can complain to the Publishing and Media Tribunal. He added that any journalist assaulted and humiliated as a result of doing his or her job according to professional standards, has a legally guaranteed right to litigation before the court where, if found guilty, the aggressor will be punished. There is an interest to facilitate the work of non-governmental organizations with respect to safety issues, and there have been cases of cooperation between these organizations and a number of state institutions concerned, such as the Ministry of Interior Affairs. There has also been an announcement by the Ministry of Interior Affairs to punish the police who attacked journalists but this had not happened by the time of writing. Although there is an implicit recognition that female journalists are, in particular, subjected to the risk of sexual harassment and violence, this usually comes within the framework of respect to women in a general and comprehensive way, and is often avoided and not talked about. There have been number of media outlets involved in issues of harassment of their female staff, mostly by their managers. Some female journalists refuse to report the harassments they suffer because of the social situation in Iraq and the prejudice associated with such actions. There are not any state institutions that are dedicated to the investigation, prosecution, protection, impunity prevention and compensation of cases of violence against journalists as such. However, Iraq has a compensation system for the families of killed and severely injured journalists which is administered by the courts. The state did has not set up any specialized units in charge of handling attacks on women, including attacks on women journalists. The organizations specialized in journalists’ protection and deals with attacks in general is the Interior Ministry of Affairs' security services. No direct budget has been allocated that can provide resources to ensure that appropriate processes are taken to investigate the threats and acts of violence against journalists. There are no measures taken to protect journalists who are subjected to threats that endanger their physical safety or forced to leave their home areas or leave the country after receiving death threats. Overall, prosecution of crimes committed against journalists is slow and ineffective, with the exception of a few cases where perpetrators were rapidly detected. One of these cases is that of journalist Nazim Naeem’s assassination in Baghdad, where the perpetrators were quickly detained. The percentage of escaping punishment is close to being 100%. Official authorities state that perpetrators belonging to ISIS are being prosecuted for their overall terrorist actions and that, thus, their prosecution is not limited to the killing or threatening of journalists. Competent authorities do not always pay attention to evidence showing a link to acts of violence or threats against the professional activities practiced by the journalist in question. On the one hand is the murder of journalist Imad al-Jubouri in the province of Najaf, where local police investigating the case concluded that the journalists’ assassination resulted from an attempted car theft and that he was not targeted for his journalistic work or profession. On the other hand, is the murder of television host Raad al-Jubouri at his home, which remains shrouded in mystery. At the time of writing, it has not been announced by the investigative agencies whether his killing was related to his job or not. Prosecution services do not give any particular importance to issues related to acts of violence and intimidation against journalists, including inquiring into the investigators / planners of these operations and individuals involved in preparation as well as the direct perpetrators. The killings of journalists are handled routinely, similar to other criminal cases. The United Nations High Commissioner for Human Rights suggests that "a very small" proportion of cases of attacks on journalists have been forwarded to the judiciary where the investigation has been issued with a court decision, indicating that "most of the cases are against unknowns". A member of the Board of Commissioners in the Commission, Dr. Athmar Alshatri, explains that impunity exists because of weak enforcement of laws and administrative corruption, and sometimes it happens due to not applying the law as a result of the lack of impartiality and favoritism. Alshatri also suggests that it seems that the apparent inability to arrest perpetrators or disclosure of their identities shows that someone allowing the culprits to escape punishment. There are no signs of the state carrying out or providing proper training and adequate capacity building for the police and public prosecution agents, lawyers and judges on this issue of journalists’ safety. The only exception was the courses organized by the Babel Tower Organization which were overseen by UNESCO and that counted with the participation of officers from the Ministry of the Interior Affairs (previously mentioned). The State does not publish any data on the attacks and the issue of impunity regarding journalists. The state also has not identified any policies or frameworks to combat specific threats to journalists. There are no dedicated measures to protect journalists and their sources of information, and human rights defenders. At the time of writing, the State did not deal effectively with the UNESCO Director-General requests concerning the provision of information about the prosecution of any killings against journalists. The Government of Iraq neglected to answer more than 98% of requests since 2005 and up until 2015, it has only answered to the two cases relating to the murder of journalist Atwar Bahjat in 2005, and journalist Mohamed Bedaiwi in 2014, while the rest of the cases are still wrapped in silence. The civil society organizations and academic institutions are key actors working on the safety of journalists, according to the UN Plan of Action. Although these agencies lack the authority and powers of the official institutions, they have the potential to lead public opinion and to provide direct support to journalists, including training. Civil society organizations were not involved in comprehensive research on the safety of journalists. However, some organizations such as the Iraqi Observatory for Human Rights and the Iraqi Institute have monitored cases of violations. These organizations have not yet issued any analysis of the data in order to form a good understanding of the circumstances and reasons that facilitate the killings or cases of impunity. Civil society organizations provide information on violations on women in general to the UN agencies. As with regard to the safety of women journalists, they are relying here on the help of specialized organizations concerned with press and media, such as the Iraqi Women in Media forum, and the Organization of Women Journalists without Borders. Civil society organizations do not have independent resources to work on the issues of the safety of journalists, and these organizations suffer from lack of funding, especially with the intensification of the financial crisis in Iraq in 2015 and the lack of donors. However, civil society organizations are working to provide information to the media and the general public on an ongoing basis, whether through publication in the media or the establishment of specialized seminars and the launch of periodic reports, which are reports about violence against journalists and the state of press freedom in Iraq. These reports include statistics about the violations against journalists. There is cooperation between civil society organizations, government agencies and legislative bodies, the United Nations and others to contribute to the enactment of laws and policy on issues of journalist safety. Specialized committees within the Parliament have started to rely on the participation of civil society organizations in discussions concerning the drafts of the relevant laws, including seminars conducted by the conferences held by the Culture and Media Parliamentary Committee, the Human Rights Parliamentary Committee, and the Commission on Women. There is cooperation between civil society organizations, especially among those working in the similar areas either themselves or with other parties concerned. There have been several gatherings held for a number of organizations working in the same field or in similar ones. National NGOs have significant consultation and co-ordination with international NGOs. A number of civil society organizations are seeking to incorporate safety issues in the national media strategies and in donor priorities. These organizations work in the field of enhancing the protection of journalists and observe the violations they get, also providing legal help to them. Civil society organizations are also working with lawyers and legal organizations that address the issue of impunity. There are a number of volunteer lawyers working with several organizations for the defense of journalists, either for free or for nominal fees paid by the organizations. A number of training courses made available to reporters give appropriate vocational training on safety issues, both offline and online. In this area, the Gulf Center for Human Rights set up on 17th December 2015 a private digital security and protection of journalists training workshop in Iraq, which included the safe use of the means of communication on the internet. Civil society organizations are working to provide journalists with adequate information, and to announce training opportunities and resources through private media and their websites, such as the courses hosted by the Akad Cultural Institute in the province of Babylon, and by the Organization of Arab youth in the province of Basra. Civil society organizations are also working on the preparation of support programs for women in general and journalists in particular. Organizations that have worked in this regard include the Organization of the Democratic Women in the province of Wasit. Civil society organizations assess availability of training and support and prepare the necessary reports for training. In this regard, the Iraqi Institute, one of the non-governmental organizations working in Iraq, prepared a study on the training exercises which it conducted concerning the safety of journalists and monitoring the situation of violations in collaboration with a number of media organizations, community and other civil organizations. Civil society organizations have not been in a position to provide safety equipment for reporters. A number of civil society and legal organizations particularly interested in of human rights have provided advice and assistance for journalists who face threats. One of those organizations is the Al Haq organization for the culture of human rights in the province of Kirkuk. Civil society organizations have not provided places of refuge or safe houses for journalists who face threats, or for the families of assassinated journalists. Some, however, have been dealing with journalists who have been forced to leave their areas because of threats within the scope of assistance to displaced families from those areas in general. Organizations also have provided some help by co-operating with the international immigration organizations to provide them refuge. There have not been civil society initiatives to provide humanitarian assistance to journalists who faced threats or suffered damage, or to the victims’ families. Media work in Iraq has dramatically expanded in scale after 2003. Documents from the CMC, as the institution responsible for regulating broadcasting and the work of media organizations in Iraq, refer to the presence of 113 radio stations, 22 of TV broadcast station, and 31 satellite stations. There are no statistics documented on the number of newspapers and magazines due to the absence of a law regulating their issuance. Iraqis do not need to have a license to publish newspapers and magazines, and the CMC statistics show that there are more than 500 newspaper and magazine available. State funding agencies for media organizations distribute public funding across the State institutions which are run by the Iraqi Media Network (IMN). the IMN is a network that includes Iraqi TV, Iraqia radio and Al Sabah newspaper. Some Iraqi media are also funded by Iraqi parties. The. institutions that follow political views and parties represent the majority of media organizations in Iraq, while only a few media institutions operate independently and by private funding. In general, media organizations, in their various forms, which use journalists as employees or as permanent contractors bear a special responsibility for the safety of journalists, both by providing support and training for journalists who are assigned duties in dangerous areas. Journalists also bear part of the responsibility through their commitment to work on safety standards in high-risk areas. Alexander Balci Jallowa, legal adviser of "Reporters without Borders", mentions that what increases the journalists’ risk of being targeted while covering war other than the risk of unexpected attacks and the usual risk of war, is "incompetence regarding the rehabilitation and protection of journalists who are facing in return the increasing proficiency at the level of armament, and the warring parties' concern to score victory in the battle of images which is more than its concern to respect the security of media." Trade unions and professional bodies concerned with media and press share responsibility with organizations and journalists, especially regarding the preparation of journalists to confront the dangers that accompany their work. Despite the interest demonstrated by news organizations on safety issues, they do not have specific policies available to employees and the public on safety of journalists. There are no provisions for risk assessment that can determine the levels of proportionate steps for safety. There are no special policies for the purpose of safety of journalists that cover both independent journalist contractors and those who assist them. Iraqi media organizations refuse to organize journalists' work contracts whether they are working full-time or independently, although they are subject to the provisions of the Labor Law and Social Security. In addition to that, the Journalists' Rights Law requires media organizations to organize the contracts of their workers. The only proper work contracts present are in the Iraqi Media Network which is a state institution and even those do not include the terms of personal safety and risk management. Media organizations are working to provide protection in the workplace. The work done is different from one institution to another in accordance with the financial capabilities and scale of the institution. The institutions that belong to certain political parties often tend to have good security measures because of the risks that surround these institutions. On the other hand, in independent institutions, the measures are not as good. At the same time, a safe environment is generally not available when it comes to information technology. The Journalists' Rights Law gives journalists the right to refuse to perform risky tasks. In practice, however, journalists who refuse to perform the tasks assigned to them are often fired from the institutions they work for. Media institutions do not provide reporters with insurance. Neither do they provide them with the necessary equipment for their safety while performing tasks that involve high levels of risk. This was particularly true during the beginning of with the war against ISIS. War correspondents and correspondents who covered the fights between the Iraqi army and ISIS have worked to provide this equipment in coordination with security agencies and the military. War correspondents have referred to the fact that the army, police forces, and the Hashid Sha'abi forces (consisting of volunteered Iraqis which appeared in June 2014), are the ones who provide safety equipment. This equipment includes helmets, protective shields, or first aid bags, which media organizations failed to provide. Media organizations do not work on providing awareness training on risks and hostile environments before dispatching journalists on dangerous missions. Journalist organizations also do not provide appropriate support for journalists working on dangerous assignments. Media organizations are not providing psychological counselling for the cases of stress that reporters suffer from. Media organizations are aware of the specific risks for their female employees but have not adopted specific strategies to reduce these risks. Those media working in local communities often ignore safety protocols that are appropriate for the circumstances, leaving their journalists exposed to risks. Groups such as Iraqi Journalists’ Syndicate, the Iraqi Journalists’ Rights Defence Association, and Iraqi Observatory for Journalistic Freedom have promoted safety in the areas of conflict between Iraqi army and ISIS. Press unions and associations play a role in monitoring safety issues and in pressuring the employers and the authorities to adopt effective policies on these issues. Trade unions and observatories concerned with safety issues usually release data concerning cases of violations and in each case that occurs, in addition to the periodic reports they release on half-yearly and annual basis. Journalist unions and associations are also working on the establishment of periodic seminars on this same topic, including seminars organized by Iraqi Journalists Union and the National Union for Iraqi Journalists. But citizen journalists are excluded from these for not being recognized as journalists by such entities. Those unions and associations only grant membership status to reporters who work in traditional media (newspapers, radio, TV, news agencies). The press unions are working to establish programs for female journalists that take into account the special risks that they could be subjected to during performance of dangerous tasks. There are special press associations for women in media and journalism, such as Iraqi Women Journalists Media Forum and the Organization of Women Journalists without Borders. There is no special training in the case of stressful situations for the benefit of journalists. However, there is an allocated fund under the supervision of the Iraqi Journalists Syndicate, to support journalists who are victims of violence and their families. This fund is from Iraqi media institutions and is administered by the Iraqi Journalists Syndicate. It pays out grants to the families of deceased journalists twice a year for the amount of 200$. There is awareness among the majority of journalists of some of the dangers in working through digital means. At the same time there is a lack of awareness of the necessary protection measures. A number of training courses have been held in the field of private encryption keys in which journalists participated, though in limited numbers. Employers and other entities do not care to provide software and equipment that allows reporters to protect their communications. There an ongoing coverage of safety issues and the issue of impunity. News organizations are constantly tracking cases of violations that threaten the safety of journalists and dedicated reports are issued on each case that includes journalists' testimonies in addition to periodic reports. Iraqi media circles concern themselves with safety issues and the issue of impunity and with publishing news related to these cases without fear. They are also aware of the importance of this matter, both for them and for the media, local communities, and citizen journalists. The way the media and journalists act, collectively and as an entity, to handle safety issues is different. In general, all media has responded as a collective entity with respect to the crimes committed by the organization ISIS against journalists. Cases of murders against journalists are also dealt with in the spirit of the group. As for the attacks that affect journalists, especially when covering events and demonstrations; these are usually dealt with in accordance with the direction and the specific political orientation of the media concerned. For example, independent newspapers and TV channels often deal with them without fear, while the newspapers and TV channels under custody of the political parties or the state are often more careful when dealing with such topics. Media actors work with non-media stakeholders to ensure adequate policies and attention to the issue. Actors working in the field of media are seeking to work with the parties concerned in areas other than the media in order to ensure appropriate policies on these issues and secure an appropriate interest in them. An example is the (already mentioned) conference held on the International Day to End Impunity for Crimes against Journalists on the 12th of November, 2015 with the support and participation of UNESCO in Baghdad. This was attended by the Iraqi Journalists Syndicate, the High Commission for Human Rights, the Ministry of Interior Affairs and the Supreme Judicial Council, in addition to academics and a number of civil society organizations, lawyers, and jurists. It is not evident whether Internet, information technology, and telecommunications companies have facilities to protect journalists against data manipulation, hacking or piracy. Nor do they provide transparent and periodic reports on data breaches and co-operation with legitimate requests for information from government. However, no cases of journalists’ data being hacking has ever been reported, nor company requested costumer's information ever reported. For the purpose of documentation and opinion featured in this report, the research team held collective and individual meetings with many journalists working in the field, especially war correspondents, as well as with the management teams of TV channels and newspapers and academics specialized in media studies. The views and observations of many journalists and heads of organizations and academics were used in this report, in addition to a number of officials of the state. With regard to the international organizations, the representative of the national UNESCO office in Iraq Dhya'a Subhi had a big role in providing us with documents and information pertaining to the work of the international organizations that are part of the United Nations system in Iraq. *In addition, the research drew from a number of journalists working in the field within a seminar on the subject of safety implemented in cooperation with the Iraqi journalists Without Borders Foundation and Al Ra'ay News Media. Fadel Al-Badrani, ‘A Revolution of Image... Media landscape and Space Fact’, (Beirut, Tthe Center for Arab Unity Studies, 2008).